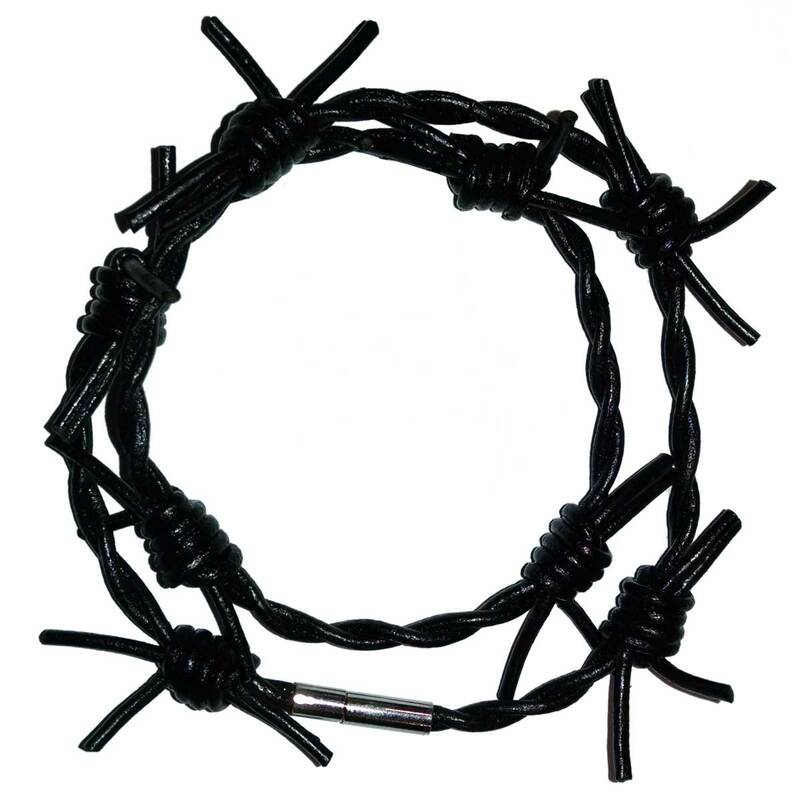 Black leather wrap around barbed wire wristband, 16.5 inches long with pin closure. Imported from Canada. 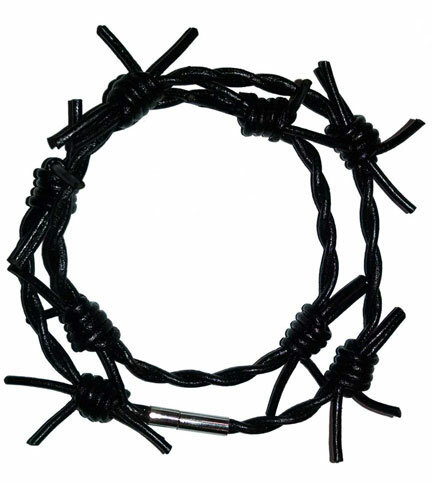 Escape from the "Rock" wont be so hard with these soft wire bands that wont cut into your wrists.